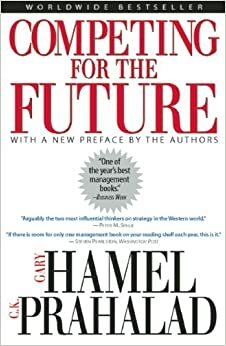 The Late CK Prahalad & Gary Hamels masterpiece from the 90’s is still a force to reckon with in the management space for a lot of industries especially technology when it comes to finding unique opportunities for growth. Today’s latest innovations seem right out of the pages of this book written a quarter of a century ago when take talk about cloud computing and smart phones becoming virtual necessities for fast-growing markets and how companies should align to use them for their advantage. The books slashes the argument of dealing with downsizing and lay-off’s to retain profitability and asks probing questions on why successful companies become giant tortoises even with all the wealth and power while small nimble firms run away with the pie! A must read for business managers looking to avoid making colossal blunders.